SAM BOWEN has taunted arch local rival Lyon Woodstock telling him: “Fighting you would be going back to area level”. 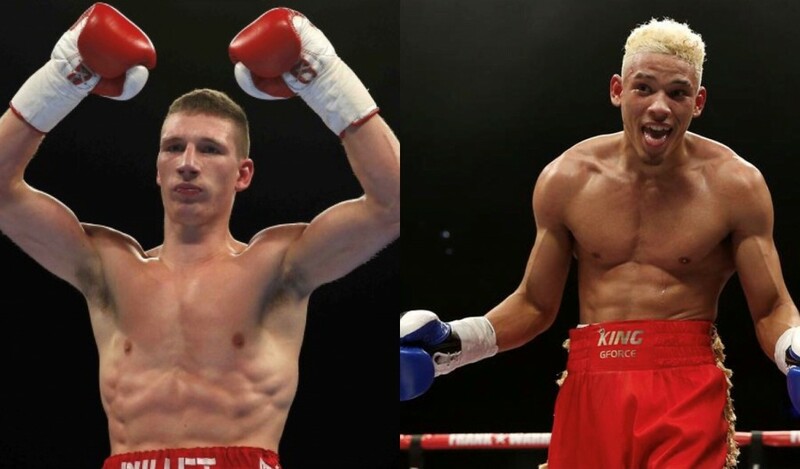 British super-featherweight champion Bowen (14-0) makes the first defence of his British crown against Dundee’s Ronnie Clark (21-4-2) at Leicester’s Morningside Arena on Saturday February 23, live on BT Sport. Woodstock (11-1) fights on the same bill in his first contest since losing his unbeaten record against Archie Sharp in October. The all Leicestershire clash is natural for East Midlands fans, but speaking to Steve Lillis on the latest episode of ‘The Boxing Podcast’, Bowen teased Woodstock, saying: “Unless he can beat a world champion, I’m not that interested in fighting him. “I was before because it would have been a good fight, but that is Midlands area. I’m out of that. “To be fair I am looking beyond these fights. To me, that would be a step down. I want to be stepping up. “We have offered him the fight in the past. At a press conference my manager Carl Greaves asked him; ‘Do you want to fight, Bowen?’ He wasn’t really giving an answer. “Now he has been beaten, I suppose he will want to fight me more because he hasn’t got many more options. Bowen, 26, won the British championship last April stopping Maxi Hughes in eight rounds. On his debut for promoter Frank Warren in October he knocked out Argentinian Horacio Alfredo Cabral to four rounds to claim the WBO Inter-Continental belt. Bowen is now ranked at number ten in the WBO rankings for Masayuki Ito’s world title and he is in a hurry to get among the 130lb division’s elite. He added: “I don’t want stay at this level for too long. It took us such a long time to get the British title shot because of withdrawals that I don’t want to hang around. Bowen v Clark shares top billing along with unbeaten Anthony Yarde defending his WBO Intercontinental Light Heavyweight title against tough Frenchman Mehdi Amar. Local fighters CJ Challenger and Kyle Haywood do battle for the vacant Midlands Area super welterweight title, with Lyon Woodstock, Ryan Garner, Tommy Fury, Ryan Hatton and Mark Chamberlain also featuring on the card.